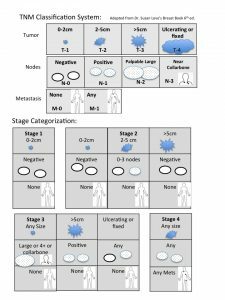 Staging describes how far the cancer has advanced in your body and is an important input for treatment decisions. 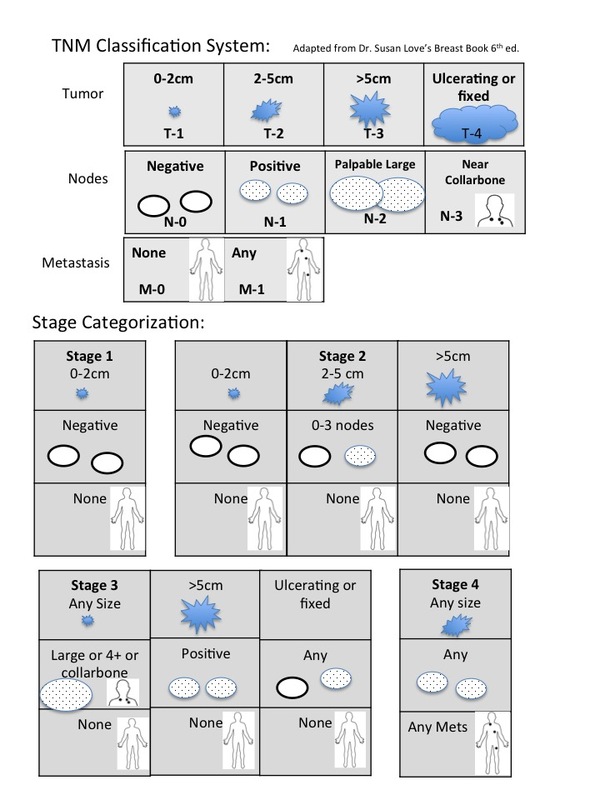 Staging shows whether the cancer is at an early, locally advanced or metastatic stage. The TNM system is the most common staging system. It uses Tumour size, the number of lymph Nodes involved, and if the cancer has spread (Metastasized) to other areas of the body, to determine the stage. Stage 0: Abnormal cells are present but have not spread to nearby tissue. Stages I – III: The cancer has grown larger or has spread into nearby tissues. It may have also spread to the lymph nodes. The higher the number, the more the cancer has spread and the more advanced it is.